It’s official: I’m an Elder. Deep gratitude to Sage-ing International for a profound year-long program to become a Certified Sage-ing Leader. Santa Monica: April 27, 2-5:00 and April 28, 2-5:00. Unitarian Universalist Church, Santa Monica, Ca. FORTHCOMING BOOK: Crossing the threshold into late life can feel like a high-wire act without a net. But, if you are retiring or rewiring, ill or caregiving, feeling purposeful or disoriented, yearning to serve or do spiritual practice, you can learn to cross over from denial to awareness, from distraction to presence, from role to soul. I am extending my work into late life for Baby Boomers 50+ who want to move past denial, fear, and resistance to discover their dreams and opportunities for this stage of life. My mission: to redefine “age” and to help others reimagine and reinvent it for themselves, just as we reinvented politics, work, relationships, and spirituality. This is part of my series of interviews with Spiritual Elders for my forthcoming book. After three decades of teaching mindfulness at Spirit Rock in Northern California and in Tucson, Az., Anna, at 78, has turned her attention to Buddhist teachings about age and death. In our conversation, I asked her why. “I used to live in New York and observe older people sitting on benches in the park. It would annoy me. I would ask myself, “What’s wrong with them? Why don’t they do something. I had judgment. . . .Now I’m one of them.” (In my language, Anna had discovered her inner ageist.) She continued. “The changes in my own body, brain, and energy level are more noticeable now, and I don’t want to do much. I don’t want to multi-task. I’m more easily satisfied with what’s here, now. I asked her to explain how the Buddha’s teachings might help with the physical, mental, and emotional changes of late life. “We’re finding the dharma now to be less remote and more profoundly useful. As an example, let’s take the three marks or characteristics of existence: First, suffering is built into life. We want it to be different, we want a younger body. But our task is to accept that our physical aging is natural, not a failure. “Next, impermanence: Everything is temporary. All physical and mental things are in flux, emerging and dissolving. Human life embodies this flux in the aging process of decaying and dying. But, again, we want it to be permanent, which creates a lot of suffering. So, our task is to see that it’s all impermanent and work toward accepting that truth. “Third, we are empty, without an essential self. But we constantly seek a permanent sense of self in our longings, our work, our creations, our children. With aging, our roles and self-images disappear. Our contributions may lessen. The solid sense of self can be seen through more easily as transparent, empty. “Has your sense of time changed?” I asked. “This time is a rich period of practice. The future is not visible; it doesn’t exist. So, the work is not about the future. I’m feeling the gift of life, the blessing of experience,” she told me. I asked if she wanted to add anything about the dharma of aging. Anna is helping to shepherd new young teachers into Spirit Rock Meditation Center, so that the legacy continues. They offer Buddhist meditation courses to families, teens, women, men, and Baby Boomers. 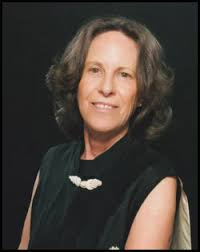 For the past 30 years, Dr. Connie Zweig has been a pioneer in fields of shadow work and meditation practice. The founder of the Center for Shadow Work and Spiritual Counseling of the AIWP, she received her doctorate in depth psychology, trained at the Los Angeles Jung Institute, and has been in private practice in Los Angeles for over two decades, helping thousands of people detect unconscious sources of secret feelings and behaviors, and transform them into positive, constructive patterns. Dr. Zweig is the author of A Moth to the Flame, and co-author of two seminal books in the field, Meeting the Shadow and Romancing the Shadow. We spoke recently about the secret wisdom to be found in the shadow, and how to bring mindfulness to our forbidden zones, as well as compassion, on the path to of authenticity. Mark Matousek: How should we think about authenticity when the “self” is made up of so many inconsistent parts? Most people are aware that there is some part of them correcting other parts, but they may not be aware of a higher self or what we could call an intuitive self. It’s the part that allows us to come back into equilibrium, and learn how to observe the shadow parts. To observe and do shadow work, we need the experience of being centered in a higher self. That is why our spiritual practice is so pivotal. Without space inside our minds to observe forbidden feelings and behaviors, they take over. When they do, we feel controlled and overshadowed by them. For example, the moment you feel road rage and flip the finger at another driver, you lose your center and capacity to witness. In your anger, you’re unconsciously identified with that shadow figure. My work is about teaching people how to break that resultant unconscious identification of “I’m bad,” or “I’m an angry person,” and come back to the center. They learn to have a relationship with that part, and dialogue with that part, in order to recognize that it is not the essence of who they are as spiritual beings. And in this way, they connect to their authentic selves. MM: Are you saying that without the ability to witness our thoughts the identification with our shadow is too strong for us not to be caught in destructive behavior?